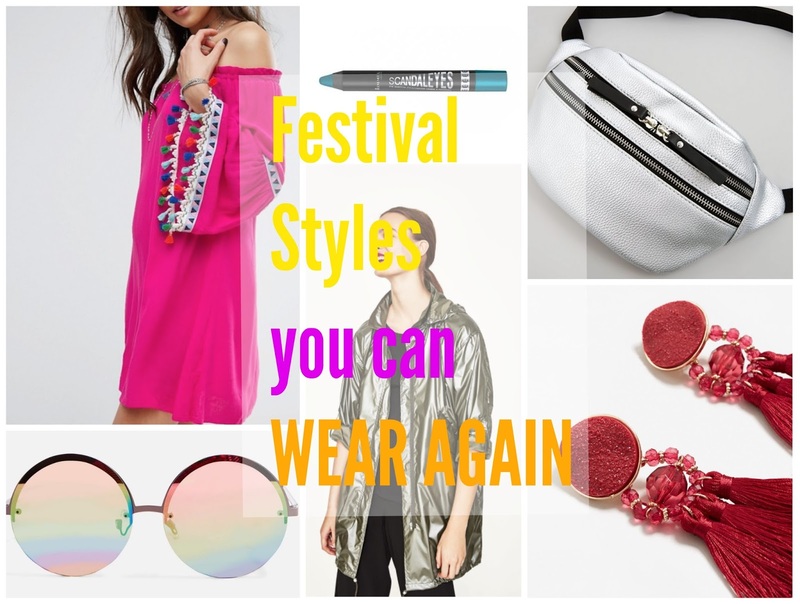 Sunglasses - Are the easiest way to add some festival fun to your outfit, think oversized with a colourful lens. If you stick to your favourite shape you can easily wear these all summer long. Metallic Eyeshadow - Is not just festivals, I love these metallic shadow sticks and would wear alone just under the eye for an every day look. Bum Bag - Personally I'm not a runner but if I was I would wear my bum bag not around my waist but as a cross over bag to keep my phone in and whatever else runners carry! Dresses - Bright colourful dresses should not only be worn at festivals but at every opportunity, they instantly make you feel good. Rain Coat - To not pack a good rain coat to a festival in Britain would be insane but a good quality one can be worn way past the festival. Statement earrings - I have fallen hook line and sinker for the for tassel earrings but any large colourful earrings will do. They are a great pick me up and can transform a plain outfit into something quite special. But whatever you choose to wear to the festival, be bold, be present and have fun!